Need to be a High School Graduate or have a GED. Provide us with a copy of your Social Security card. Provide us with official high school transcripts, as well as any post-high school transcripts. Provide any GED records if applicable. Provide evidence of completion of at least 1 year of high school algebra or 1 post-high school algebra course with a passing grade. 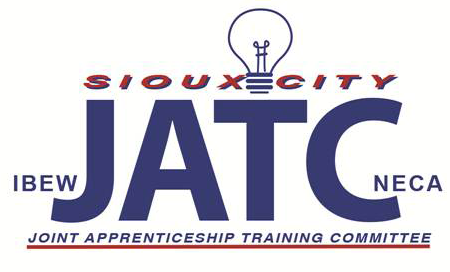 SCJATC C/O WITCC, Room C-136, 4647 Stone Ave., Sioux City, Iowa. You may also click on the link to download the Application Request Form. Once all information and documentation is received, you will be scheduled to take the Electrical Trades Aptitude test that has been developed and validated by the American institutes for Research. The test covers reading comprehension and algebra. To find out more about the test visit the www.eta.org. You must receive a qualifying score on the test in order to receive and oral interview. *Please note – There is a $25.00 application fee associated with the application process. All required documents are due thirty days after the application is received.